Located in Mount Vernon, Ohio , our full-service animal hospital provides complete medical, surgical, and dental care for a wide variety of companion animals and exotic pets. 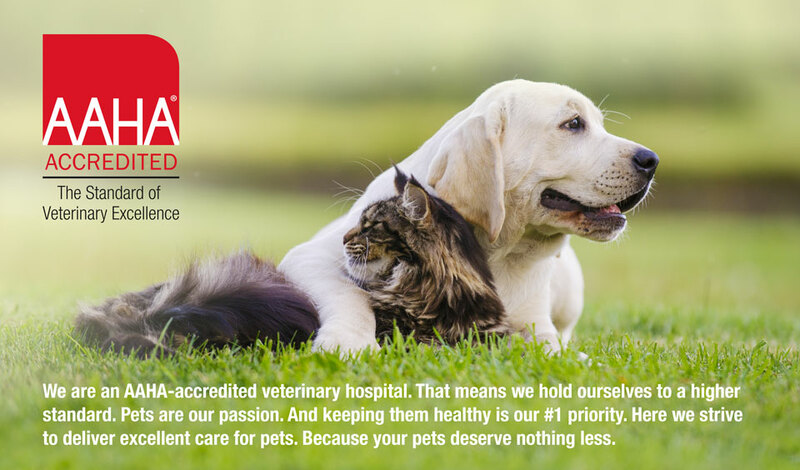 At Complete Care Animal Hospital, we understand how important your pet is to you. Please take a look at the many veterinary services we provide and give us a call. We are located at 999 Harcourt Rd. Just 2.5 miles south of downtown Mount Vernon. We look forward to seeing your pets soon! Nothing is more important than routine examinations and preventive medicine for your pet. Your pet ages at a much faster rate than we do, this means that medical conditions can come on relatively quickly, hence the need for thorough physicals each year, and for our senior pets every 6 months. We are committed to caring for our patients throughout every stage of their life, even as they near the end of their journey. As pet owners and lovers ourselves, we understand the strong bond between people and their pets and recognize how difficult it is to face losing them. We help provide a pain free and dignified journey through life. We offer a full range of medical and surgical procedures including in-house lab, dentistry, digital radiography and ultrasound, spay/neuter, abdominal surgeries, feline declaws, mass removals, corrective eyelid repair, corrective surgery for brachycephalic, gastropexy, emergency procedures and oral surgeries. Complete Care Animal Hospital offers 24-hour boarding services for your feline friends. We provide a comfortable climate-controlled environment, blankets, treats, and toys. Our cats have a separate boarding area so they can have a quiet, stress free stay. Complete Care Animal Hospital has the expertise to treat your bird, ferret, reptile, and small mammal, such as rabbits, ferrets, hedgehogs, guinea pigs, rats, mice, gerbils, and hamsters! The Spa at Complete Care Animal Hospital The Spa at Complete Care Animal Hospital is where no dog or cat leaves without looking drop dead gorgeous and smelling divine! We offer sedation when needed and our groomer has more than 20 years of experience.